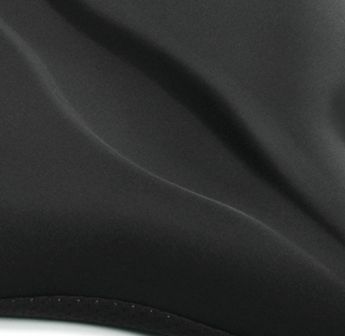 Our Wide Gel Pad for 12'' -13'' Wide Bike Seats was designed and created by the team at BicycleSeats.com for the rider that is looking for an ultra premium, high quality seat cover that's super comfortable as well as durable. 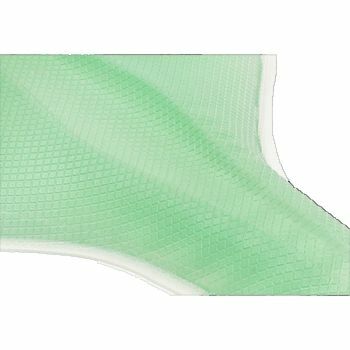 Our gel pads feature 1 1/4'' thick whipped gel padding which does not create a memory or degrade over time like other bike seat pads and covers do. 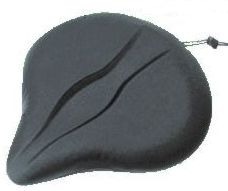 Our gel pads are unlike any else that are on the market today, and are only available here at BicycleSeats.com! I really like this seat cover! I have a Schwinn Air Dyne stationary bike and the seat was always so painful. I found this and thought it would fit the bill. My bike has a rather large seat to begin with so it's been hard trying to find something to fit. This does! It has made the seat so much more comfortable. I did 20 minutes on it the other day and could have done more but I need to work up to that! Thanks you for having good customer service too. Ordering was simple and delivery was quick! Glad I purchased this seat cover. I can now ride 20-30 minutes vs. 5 minutes with comfort. Glad I spent the money and can now use the bike and keep it. This is an exceptionally soft gel seat cover which I use below an authentic sheepskin which I also purchased from this company. I'm using both items on my FitDesk which is a stationary bicycle with a desktop. The sheepskin atop the gel pad make it possible for me to sit and peddle for longer than an hour in comfort. High quality. Quick shipping, albeit a little on the expensive side. I would not hesitate to purchase from this company again. The products exceed expectations. Good quality - too thick ? This is a high quality seat pad, but at 1 1/4" it's too thick. I would like to be able to exchange this item for one about 1/2 the thickness if that is possible. Very comfortable. Better if the gel pad is added. I never knew these were available but decided to try one..I love it..it is heavy enough to stay in place when I am riding and much more comfortable than the original seat alone..I would recommend anyone wanting more comfort to purchase this cover..very easy to put on and your customer service is excellent! I love this seat. Fits my DP Airgometer Esprit exercise bike perfectly. I was concerned this might be too thick...it is perfect. I had previously purchased the 12" X 12" Cloud 9 seat and still needed more padding for my 300 pounds and 70 year old body. This does the trick. If I had to do it again I would buy the 13" wide seat from BicycleSeats.com and add this Gel Pad. An extra inch is an extra inch. In 4 weeks I am up to 24 miles in a day. Bottom line this is a great product which is greatly enhancing the intensity of my workout. I highly recommend this product and the company. This is exactly what I have been looking for! It is very padded and comfortable. The gel pad has eliminated my irritation problem. I am well pleased with the product and service. The seat is fine, perfect as advertised. However it just didn't do the trick. It seems nicely padded with gel, but still hurts to sit. I think it's due to the shape of the seat. So, I joined a gym! (A good thing, great place, convenient, very cheap.) So it's not your fault at all. thanks. I had almost given up hope I'd find a gel seat to fit my exercise bike. The seat from Bicycle Seats fits like a glove. I can now exercise more than 15 minutes, which had been do to discomfort from original seat. Great product. It was exactly what I needed for my hard exercise bicycle seat. Now I can ride in comfort!! The cover fits over my old bike seat like a glove...couldn't be much better. 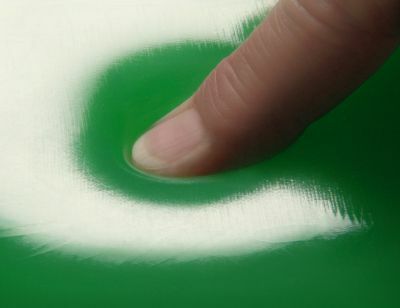 It does not move, however at first it feels like it does but what you are noticing is the wobbly texture of the gel. The gel couldn't pad your buttocks much better...very soft on the bum. As a guy, I would have liked the depression that runs down the middle a bit deeper. I still find a bit of pressure in that region, particularly on longer workouts. However, it is still much better than it was...so overall I am pleased. Great product. Expensive, but totally worth it. Need to ride my stationary bike for two hours every day for rehab, which hurt my bottom until I bought the gel pad. This is a great seat! I have an old Schwinn Stationary Bike with a large seat and had trouble finding a fit, but this is perfect. Made my husband a very happy guy! The company was a pleasure to work with, too. I purchased the gel pad for a saddle on a fan bike that is well used and was showing the wear. Since the bike is still in excellent condition, I did not want to buy a new one. After looking at buying a new saddle ($100+), I started my online search and kept coming back to this company. The pictures for measuring were excellent, ordering was easy, delivery was prompt. The seat has been given new life and should I wear out the pad, I will not hesitate to reorder.